Speeding may be the most singular factor in causing many car accidents resulting in injuries in Boston or anywhere else. Most motorists have exceeded the posted speed limit at various times whether it was just a few miles per hour or greatly in excess. You can be charged with speeding for not adhering to the speed limit, or for following the limit but the traffic or weather dictated that you slow down to a slower speed for safety reasons. Speed limits preclude motorists from driving at any speed they wish. In congested areas like Boston’s business districts, the speed limit is typically 30 miles per hour or lower with school zones at 20 miles per hour. Slower speeds allow drivers time to watch for and avoid pedestrians and bicyclists. Also, given the usual perception/reaction time to respond to roadway hazards of 1.5 seconds, the slower your vehicle, the less distance your car will travel once you hit the brakes or take evasive action. Cars that travel at great speeds are also more likely to be at risk for an accident and for that accident cause a serious injury. Getting your license is always an exciting time but too many teen drivers abuse the privilege by driving too fast and getting involved in car accidents in Boston and elsewhere. Teens and young adults between 18 and 24 account for about 30% of the cost of personal injury claims and injuries from auto collisions though they comprise less than 15% of the population. 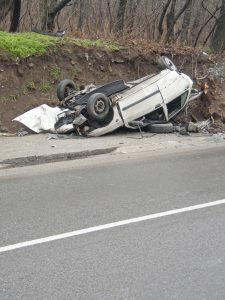 If you are the victim of a motor vehicle accident because the other driver exceeded the posted speed limit on a Massachusetts roadway or highway, you may have a good case for proving negligence against the other driver. He or she may be legally presumed to be negligent. Once the presumption is established, he or she would have to prove that their negligence was either not the cause of the accident or that you were comparatively negligent. Massachusetts is a comparative negligence state where your degree of fault cannot exceed 50% to be able to recover any compensation for your injury. Massachusetts is also a “no fault” state where you can obtain personal injury protection, or PIP, to cover you for your medical expenses to $2,000 and up to $8,000 if you have health insurance and for lost wages regardless of fault for the accident. 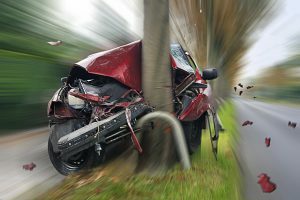 Other than minor bruises or aches and pains, most injuries sustained in car accidents while speeding involve medical treatment that far exceeds the $2,000 limit, even if your injuries are soft tissue or whiplash type injuries. If a loved one was killed and you are an immediate family member such as a spouse, parent or child, you can bring a wrongful death action through the executor or administrator of the decedent’s estate. Neil Burns & Roshan Jain has been representing Boston car accident victims since 1985 and has obtained the maximum compensation for claimants in numerous cases. You need time to recover from your injuries and not have to worry about your accident claim or if you can collect compensation. If you or a loved one were involved in a car accident in Boston, promptly call Burns & Jain at (617) 227-7423 for a free consultation about your injury claim.